Songza has been making waves in the music scene for quite a while now, offering users expertly curated playlists to match their mood at any given time of the day or night. But more recently the company introduced Club Songza, an ad-free experience that costs $.99 per week, including extra exclusive content experiences. Today, Club Songza is moving out of beta and is officially available through an update on the Apple App Store. From the beginning, Songza never included audio ads like its competitor Pandora. Instead, the app used visual banner ads as a portion of its revenue stream, along with deals with brands to provide the music experience behind a particular event or promotion. With Club Songza, the user sees no ads whatsoever. In addition, Club Songza members have access to an extra “experience” (the equivalent to an activity). 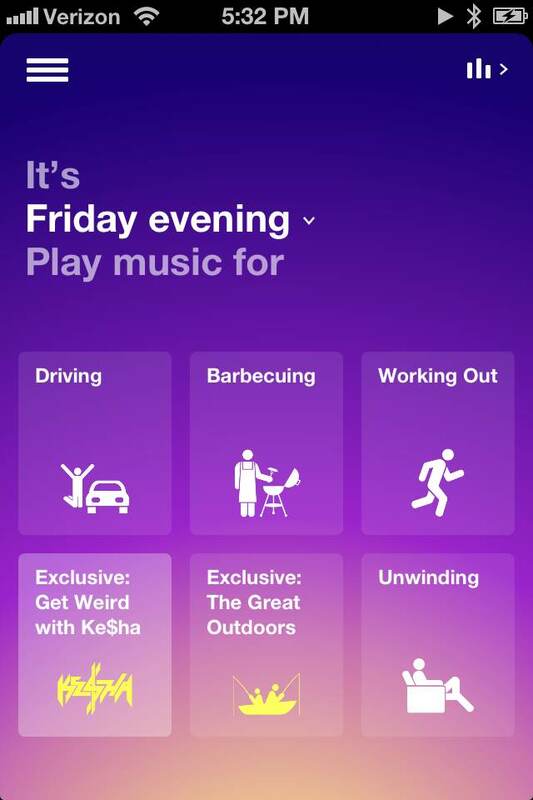 For example, over 4th of July weekend, Club Songza beta testers had access to a Star Gazing category, with a number of various star gazing activities within it. These filtering options are only available to Club Songza members. Meanwhile, on the ad-filled, free side of the app, Songza is using new advertising strategies. Instead of just the usual banner ads, Songza is launching a full screen pre-roll ad to all free Songza users once per day. Songza’s Concierge feature has been copied by a number of bigger competitors, including iHeartRadio, but with a total of $3.8 million in funding and new revenue streams abounding, the Long Island City-based startup is ready to fight with the big boys.